Experienced road racer Horst Saiger will make his Isle of Man TT debut this year. Horst will be competing in the superbike, superstock and senior TT races on Kawasaki machinery. Horst will be running his own team at this years Isle of Man TT with help from Kawasaki Switzerland. 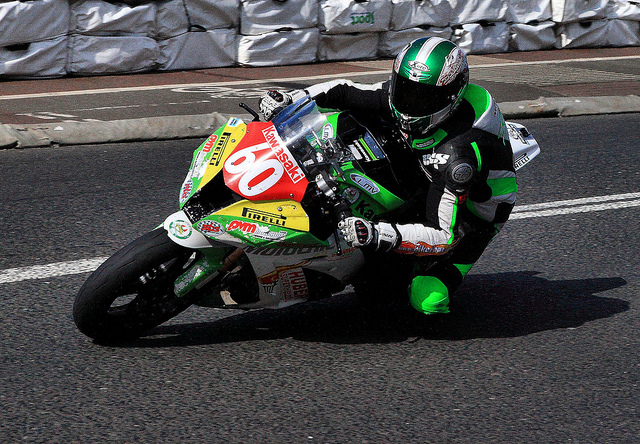 In 2012 it saw Horst make his debut at the North west 200 where Horst took in the opening superstock race a 17th place finish before achieving a superb top 10 finish in second superstock race. At the Macau grand prix in 2012 Horst finished in a quite brilliant 5th place in front of Conor Cummins and 19 times Isle of Man TT winner John Mcguinness. Having achieved already top results at the North west 200 and at the Macau grand prix Horst Saiger will go into this years Isle of Man TT confident of having a great TT debut this year.